If you haven’t checked out Kronicle backcountry snowboard magazine yet then you are missing out. This is a great magazine, packed full of mouth watering photography, backcountry gear reviews and great stories. This mag is geared towards people who love exploring the backcountry and riding fresh pow. We highly recommend buying a copy or two of their print material and following them online. 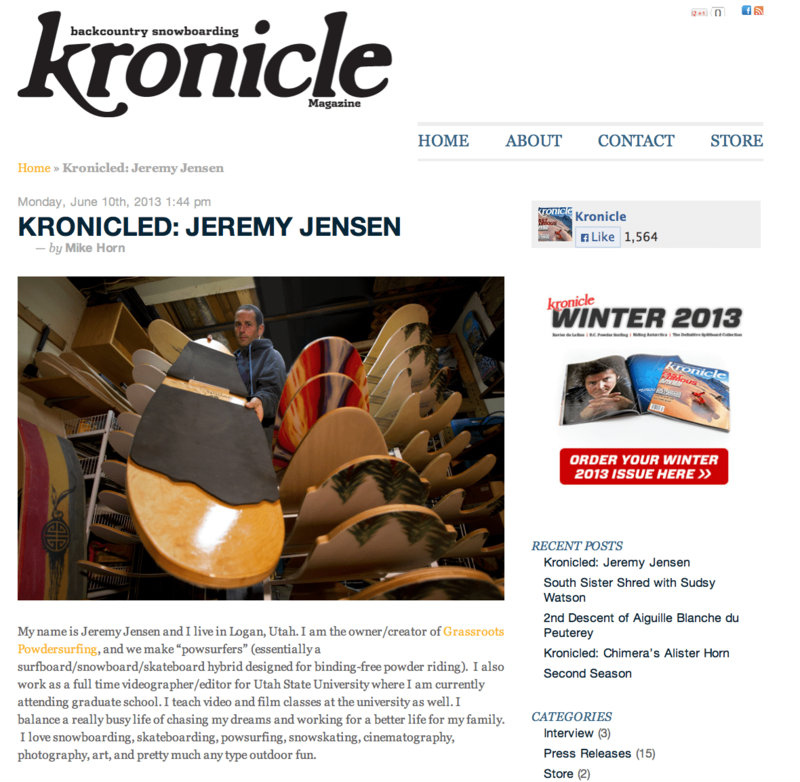 Last week Jeremy Jensen, owner/creator of Grassroots Powdersurfing sat down with Kronicle Magazine to talk about the history of Grassroots and what the future holds for binding-free riding. Click the link below to check it out, and don’t forget to subscribe to their feed, their facebook page and their print mag. You will be glad you did.